The Seco 16 Foot Aluminum Builders Grade Rod is long lasting and made with aluminum alloy. 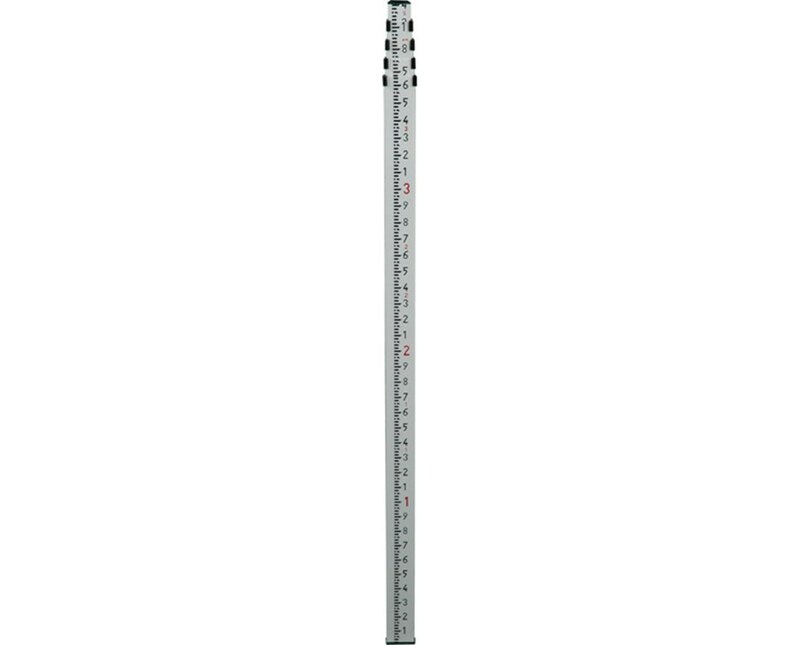 This sturdy leveling rod has 5 adjustable sections that are held in place by strong polycarbonate buttons that tightly lock each section when the rod is extended. 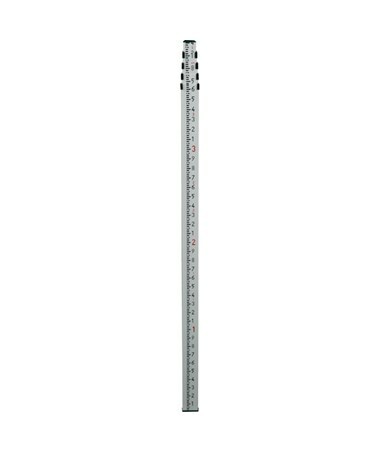 This measuring rod is also anodized and silk-screened with moisture-resistant ink for added durability. With an overall height extension of 16.4 feet, this leveling rod is capable of producing accurate results with its large characters that are graduated in feet/tenths. A well-defined height scale is also shown on the back that allows users to read height at eye level. This grade rod is built to last and guaranteed to deliver leveling precision. A bubble level and carrying bag are included. A 1-year warranty is also included.